Burberry Group is a British luxury fashion house, distributing clothing, fashion accessories and licensing fragrances worldwide. They came to Softmotion 3D for the production of their Burberry Kisses campaign. The Burberry marketing team considered that the lenticular 3D medium was more likely to catch the passerby’s attention, and keep the viewers captive for a much longer period of time in their window displays. They transformed their window display in an interactive space to draw customers in store. A static 2D image, albeit beautifully printed, will never have the impact and stopping power of lenticular projected animated kisses to the viewers outside the stores. Another good example where the power of Softmotion 3D lenticular prints was exploited successfully. A series of images coming together to create seamless motion, with video-like sequence that will bring visuals to life. Simply stated, the Softmotion 3D lenticular medium attracts attention. Savvy marketers know that in today’s retail environment, over half of all purchased are unplanned, and shoppers are faced with hundreds of choices while strolling down store aisles. In an independent study made by Product Acceptance & Research Inc., test were conducted to measure sales using a static conventional 2D display and sales using a motion display, such as a Softmotion 3D lenticular medium. 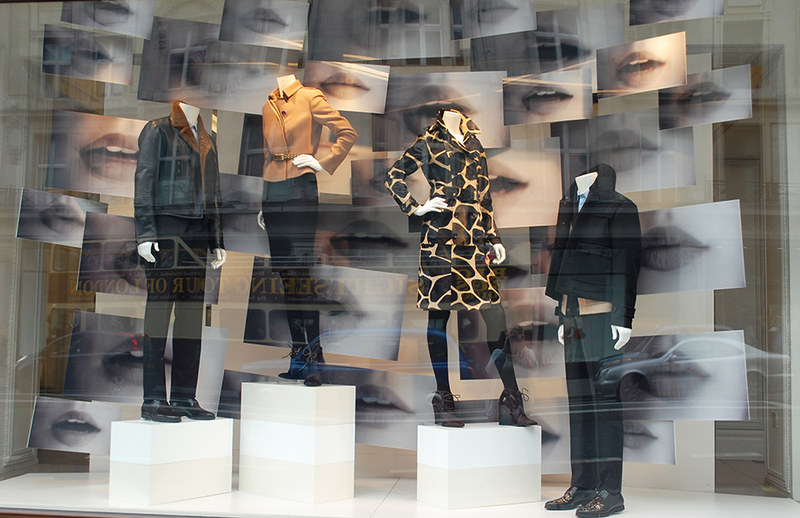 Sales volume in stores where static display were used increased by an average of 56%, while stores that used the motion display, such as the Burberry lenticular window display, reported increases of up to 107% - a 51% increase over traditional static 2D displays.